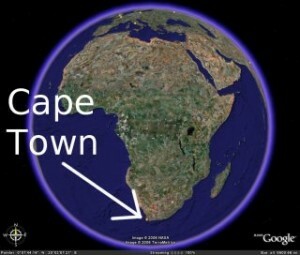 Very briefly: I was born in Cape Town, South Africa, where I also met my wife, Athena. I majored in mathematics and computer science at the University of Cape Town, and eventually obtained my PhD in computer science, with a focus on computer graphics and computational geometry. I worked in Cape Town and Stellenbosch for a few years doing scientific visualization and virtual reality. My strong interest in computer graphics eventually took me to NVIDIA in Silicon Valley, where I worked as an engineer and eventually as a manager. My focus in both roles was maximizing the performance of NVIDIA GPUs in games and other graphical applications via sophisticated driver optimization and improved chip architecture. After 11 years in the graphics/semiconductor industry, I felt it was a time for a change. Since I have strong research, quantitative and system programming skills I moved to Chicago and into finance. I currently work at a technology driven proprietary trading firm called Jump Trading as an R&D Architect.